Everyone will find a different approach to incorporating meditation into their lives. There is no one book that is the be-all-end-all to mediation teachings, just like there will not be one book that makes everyone grasp the sometimes challenging topics of ego and consciousness that meditation brings to the table. Just as people prefer a certain style of meditation, a book that helps one person may not be the right one for someone else. There are so many books available and some are more challenging in their subject matter than others. Here is a guide as to which books you may find most suited to your particular need. When you first begin the practice of meditation, it can be hard to know where to start. A meditation book can help give you a foundation and make your meditation more meaningful. Finding the right teacher or technique to guide you is an important step and books by authors with a strongly developed meditation practice can really help. Jack Kornfield is not only a trained Buddhist monk but a clinical psychologist too, and his teaching background helps him to explain meditation with great insight. In his book Meditation for Beginners, he will show you how simple it is to start and develop a routine of daily meditation. His step-by-step methods are straightforward and easy to learn. The point of his teachings is not for you to learn rituals but to discover the benefits of meditation in your life. You will learn how to use physical sensations, your own breath, and even difficult emotions to create peace in your life. How to Meditate: A Practical Guide to Making Friends with Your Mind is a wonderful book to introduce you to the practice of sitting meditation. It is by American born, Pema Chodron, a Buddhist Nun. All of the elements of sitting meditation are broken down clearly, from breathe and posture to working with the attitude, intellect, and emotions. It can be hard to maintain inner calm when you are subjected to much stress. Many people struggle with anxiety and have no idea how to deal with it. A book can offer advice to help guide you to experience inner calm and increased wellbeing. The book Body Calm by Sandy C. Newbigging reveals the damaging effect mental stress can have on the body. In the book, Newbigging teaches a new self-healing meditation technique that can help to keep the body healthy. You will also be introduced to research that proves what meditation can do to keep you healthy and understand more about anxiety triggers and the sources of stress. Some quick-start cures for reducing stress and increasing calmness are also given. Introducing kids to the practice of mindfulness helps them to build self-awareness, awareness of others, and of the world around them. Learning how to be fully present can benefit them for the rest of their lives. It will help to alleviate stress, anger, and worry, improve their focus and help them sleep. Puppy Mind by Andrew Jordon Nance is a children’s book that helps to introduce deep breathing and ways to keep calm. He uses the analogy of a puppy to explain how the mind wonders. When training a puppy it does not help to yell at it and it doesn’t work to calm the mind either. Taking deep breaths works for the mind like giving a puppy a treat. In Sitting Still, Like a Frog by Eline Snel guides children into developing mindfulness with imaginative visualizations. Children visualize a frog jumping, stopping, and sitting very still, looking at what’s around him. When he sits still, his belly rises and falls, just like a child’s belly. It’s often inspiring for women to read books written by other women who have benefited from establishing the practice of meditation in their lives. Meditation Now: A Beginner’s Guide by Elizabeth Reninger is a best-seller that promises a peaceful mindset within 10 minutes. Some people may be put off by that description but it is filled with insightful discussions and offers step-by-step instructions for 18 different meditation techniques that can be practiced anywhere, anytime. It also contains inspirational quotes and tips. When Things Fall Apart by Pema Chodron will help you to find a way to go on when you are overcome with anxiety, fear, and pain. Chodron believes that there is a fundamental happiness that is available, despite our difficulties. To find it, you have to stop running away from suffering and learn to approach it fearlessly. This enables you to use even very painful situations to discover the indestructible nature of love and truth. Many men struggle to maintain balanced lives and battle for serenity because they are so pressured to perform. Touchstones is a book of daily meditations for men, with contributions by various authors. The daily touchstones begin with quotations from many sources and conclude with affirmations. The role of man as a spouse, father, lover or friend is explored and lessons about integrity, intimacy, and spirituality are given along the way. Wherever you go, there you are is a book written by the world-renowned scientist, Jon Kabat-Zinn. If you have any doubts about the validity of meditation for health, this book will help to change your mind. This teacher of meditation is credited with developing mindfulness-based stress reduction (MBSR). This technique has been used in clinical trials to test the effects of meditation on the brain and body. He argues that meditation can be practiced by anyone at any time and has written this accessible guide to developing the practice of meditation as a natural activity in daily life. The Untethered Soul is a book that serves both meditation newbies and novices. The book acts as a guiding light to transcend the ego and realize the true Self which is arguably one of the most important concepts to grasp when practicing meditation. Michael Singer incorporates themes of spirituality without stepping on anyone’s specific personal beliefs. He provides practical tools to help transform thought patterns, the thoughts that keep us stuck telling the same--often false--stories about ourselves to ourselves. He validates worldly pains without undermining them and then offers meditation techniques to reduce anxiety and aid in managing stressful or overwhelming situations. He can get a bit repetitive throughout the 181 pages, but in a purposeful way. Some of his examples lack the evidence that an analytical mind may seek--but he nonetheless delivers a succinct message of hope, compassion and peace that can be found through a commitment to meditation. The Mind Illuminated isn’t for the faint of heart. It’s a very detailed step-by-step guide to help anyone reach a deeply profound meditative state, to wash away thoughts of self-doubt, stress, anger, resentment and woe. At 485 pages long, it’s best if you’re seeking a comprehensive understanding of mediation as a practice and way of life. The authors discuss the evolution of mediation and the development of practice through practical applications for everyday life. This sucker won’t sit on your shelf collecting dust, as it’s a wealth of information you’ll likely pull it out again and again to dive into different aspects of the practice as you begin to grow. Stories interwoven with wisdom and decades of personal experience give The Mind Illuminated a unique take on meditation. 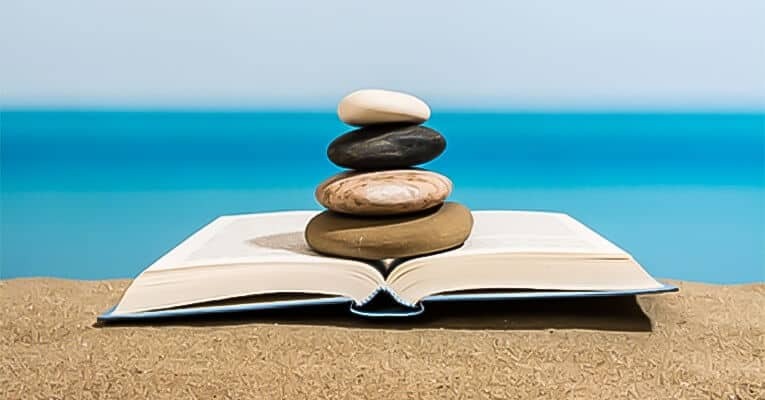 The technical writing is well unpacked, not sticking to one particular tradition of meditation, yet explaining many important traditional terms in ways that other meditation books fail to. Consider The Mind Illuminated a precise and motivating manual on how to meditate and how to actually achieve higher states of being as explained in old Buddhist literature. Eckhart Tolle fell into a deep dark depression that enabled him to “find the light.” This light, this uncanny ability to understand truth of Self, peace, being present and meditation enables him to be a timeless teacher for students on a journey of self-discovery and tranquility. His book begins with his story in brief and then dives into the meat of who we really are, why we do the things we do and what he suggests we do to transcend our ego. The Power of Now is broken up into digestible chapters which are further broken up by a symbol that represents break time. He utilizes this symbol to ensure the reader is internalizing the material instead of just breezing through it. He’s able to explain pretty complicated topics in a way that makes sense to the average reader. I will say, however, that this book will only speak to you when you’re ready to receive its message. Tolle’s language is clear, concise, and relatable. He writes in a conversational way and includes questions from his students to aid the flow and overcome obstacles that could prevent you from getting the most of his text. He can seem a bit redundant and dogmatic at times, but he repeats his message with intention (and even says so in the book). Loving Kindness is a bit more flowery in its language than other meditation books which can be really awesome or a total turn off depending on who you are. The key take-away from Loving Kindness is not ironically to love and be kind to yourself and others; to restore your sense of self, find your sacred place, and to allow positive energy to consume you and overflow unto others. Sharon Salzburg is a Vipassna teacher who emboldens students to embrace metta meditation as a way of life. The theme harps on how to live life with compassion, joy and equanimity for the most satisfying and mindful life journey. She explores important topics of Buddhism and Metta meditation in a clear and concise way and includes many actionable meditation practices. Great read if you’re on a spiritual path or need a nudge to begin true self-love. Unlike the other books reviewed above, The Miracle of Mindfulness is a series of letters from the 60’s from Thích Nhất Hạnh to young monks studying meditation overseas. The book aims to enlighten the reader through self-awareness, to embrace discomfort, happiness, sadness and joy as a way to find inner peace. The founding principle is that life is meant to be enjoyable. If you cannot find joy in the things you do everyday, you’re not living to your fullest potential. Like many meditation books he beckons you to be the observer of your own mind, and to remember you are not your thoughts. Mindfulness has turned into somewhat of a buzzword in recent years, but Hanh brings us back to the root, to its true meaning without all of the hype and yoga swag. Be present. It’s as simple (and as difficult) as that. At the end of the book he presents a useful guide on each method of meditation discussed. Eckhart Tolle started his journey as a troubled dude who needed to find a way to ease the pain of everyday life. I feel like not only is this totally relatable to most people, he somehow found a way to communicate his journey in a way that most people can actually understand. He takes huge concepts and breaks them down into bite-sized pieces as not to overwhelm the reader, taking into account the many questions that will arise while reading his book and pre-empting any frustration by answering them in Q & A format. He’s thoughtful, concise and straightforward in a way that makes you want to kick your meditation practice into high gear. This book is our top recommendation for being incredibly accessible to the average person as well as powerful for regular meditation practitioners. However, these books are all different and all incredible resources. They are also all very affordable​ and you could buy all of them in paperback for under $70 or all on Kindle for under $50. That's an easy path to a mountain of mindfulness wisdom for the coming year. Brittani is a content marketer and web designer with over 5 years of experience across many industries. She spends her free time traveling, studying natural medicine + nutrition, mushroom hunting, learning how to cook worldly dishes, and doing photography.